A new agency model for a new economy. How The Mission Control Communications became the ‘go-to’ agency in 2017 for B2B brands. In this month’s Agency Briefing, we go inside The Mission Control Communications – the independent advertising and branding agency that is going toe-to-toe with some of the biggest names in adland and winning. Additional creative firepower coupled with sharp strategic thinking and ‘can-do’ attitude have been the driving forces in what has been in one of the best years on record for the self-described – ‘creative effectiveness agency’ – The Mission Control Communications. In addition to expanding its role with established clients on both sides of the Atlantic in categories as diverse as technology, education, mergers/acquisitions and the insurance and surety sector, the agency has also racked up an impressive tally of international awards and new business wins, thanks in no small part to the breakthrough work coming out of its dedicated medicine, healthcare and sciences studio – The Mission Discovery. Whilst new business was not a primary objective for 2017, there can be no denying that the agency has earned itself a reputation as the ‘go-to’ destination for companies in search of an effective alternative to the channel specific agency model. It took time and award-winning campaign in its own right, (Science Heroes & Heroines) to explain how collaboration between agency and client should and could work. One of the first to experience those benefits was a US technology company who hired The Mission Control Communications earlier this year to launch a new B2B software solution. As collaboration between clients and agency continued to prove itself, an unexpected result of this was that clients began to share their experiences of working with The Mission Control Communications with colleagues and network partners worldwide. This process of positive referral quickly led to a number of new account wins for the agency that are now generating additional referrals. Now with a reinforced and diverse client roster, The Mission Control Communications is in a healthy position as it prepares to start the New Year. Unencumbered by the lack of transparency that was a red line issue for many US companies this year, The Mission Control Communications has a remarkably open and transparent relationship with clients on both sides of the Atlantic, that has enabled it to excel in categories that have traditionally been wary of agency involvement and motives. Key appointments made during 2017 are also set to bear fruit next year as a restructured and driven studio, spurred on by continued success, D&AD training and a strong leadership team, continue to work with companies the world-over to create and deliver sector changing work. There’s room at the table for everyone this Thanksgiving. We’d like to wish everyone we work with in the United States a really ‘Happy Thanksgiving’. You folks don’t get that many days off so enjoy the break and we’ll see you all back at work tomorrow! 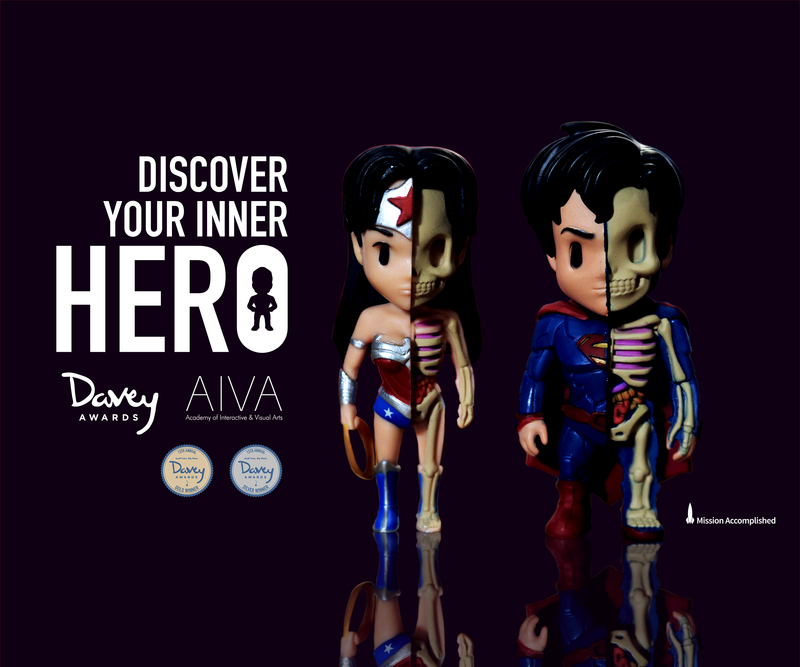 The Mission Control Communications wins four Davey Awards for Liberty Mutual ‘Surety You:’ and ‘Discover Your Inner Hero’ work in New York. New York/Belfast 02 Nov. 2017: This year’s Davey Awards saw healthy competition with entries from almost 4,000 agencies and consultancies worldwide. Shortlisted across four categories, The Mission Control Communications continued its unbroken, three-year winning streak, bringing home a total of two Gold and two Silver accolades from the event in New York this week. The wins include Gold and Silver for both integrated marketing effectiveness and integrated brand effectiveness campaigns for (Discover Your Inner Hero), and Gold and Silver for its corporate identity work with Liberty Mutual Surety and Surety You:, in the United States. Earlier this year, both Discover Your Inner Hero and Liberty Mutual Surety You were also featured campaigns on CreativePool. The wins in New York on Monday brings to fourteen, the total number of international advertising, branding and marketing effectiveness awards, The Mission Control Communications has collected for clients spanning financial services, pharmaceutical and biotech, government, M&A and technology sectors. 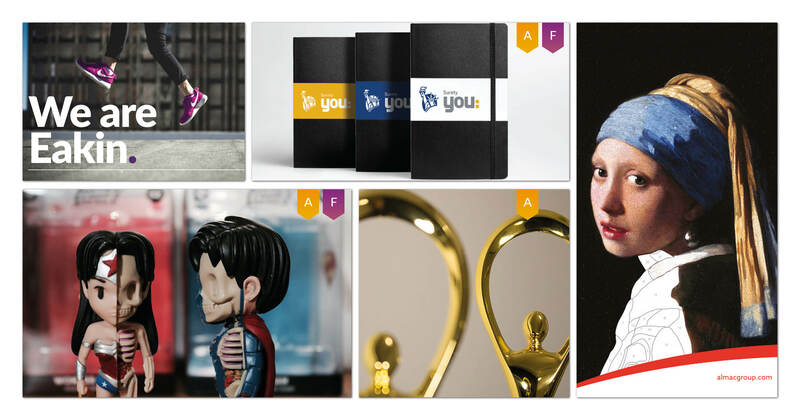 CreativePool selects Liberty Mutual ‘Surety You’ branding as one of its top featured pieces of work. Philadelphia/Belfast: We’re thrilled to be back in the spotlight this week with the Liberty Mutual Surety team in Philadelphia as Creativepool selects ‘Surety You‘ as one of its top featured projects.